Matteo is an awesome MULTIPLE blue ribbon winning full accoyo beige herdsire AND It's official! 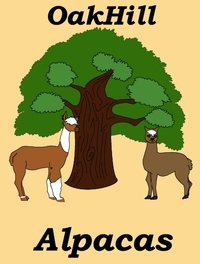 This full Accoyo PROVEN Herdsire has just put HIS FIRST 3 CRIA ON THE GROUND, AND THEY ARE ALL COLORED!!!! He has a medium fawn out of a beige Mom, a light fawn out of a light brown Mom, and even a beige out of a WHITE girl. All 3 three of these cria are amazingly soft. He has NEVER walked out of the show ring without a ribbon. His ultra-bright, crimpy and consistent fleece tested at 16.7 microns! His conformation is absolutly perfectly straight and balanced. 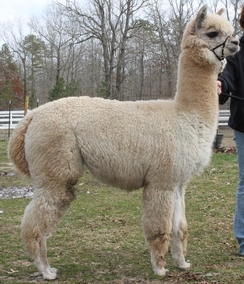 Malinda has a sweet demeanor, stellar good looks and very special fleece. She has high frequency Merino-style crimp uniformly dispersed throughout her dense soft fleece. 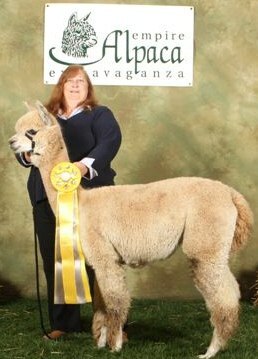 Her conformation is impeccable and reminiscent of her sire 550 Peruvian Argus. Big dark eyes, black toenails, perfect bite, conformationally correct. 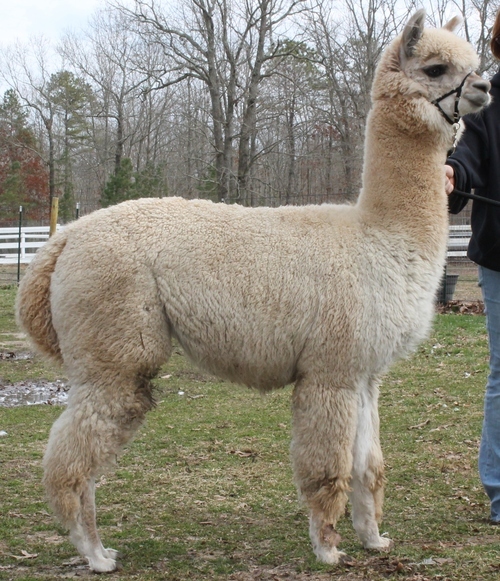 Dam is CODI Peruvian Malinda, with almost all dark genetics. Sire is FULL ACCOYO, from the Pperuvian Camilio line, known for accoyo quality with color. This boy has the softest fleece on the farm, with the accoyo density and crimp style. Head style and presence that commands your attention. We expect him to be an incredible herdsire when he matures. He is also the king of obstacles because of his gentle easy-going personality, winning ribbons with the 4-H club in every class that he has been entered into this spring. With almost no training, he brought home 7 ribbons!